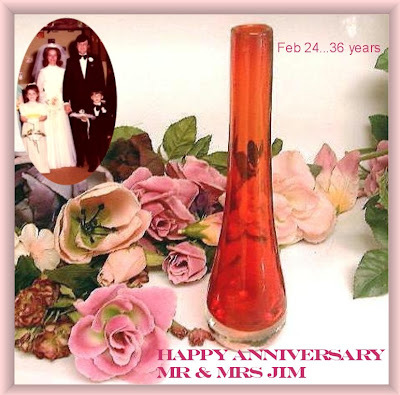 Today it is Mr. and Mrs. Jim's 36th anniversary. Now, seeing as it is Ruby Tuesday and seeing as Mr. and Mrs. Jim would have to wait another four years for a ruby anniversary, I decided to shop google images and get me some ruby coloured bone china. Bone china is the 36 year anniversary symbol. Here, standing on a bed of bone China roses is the happy bride and groom and their pretty flower girl and handsome ring bearer. 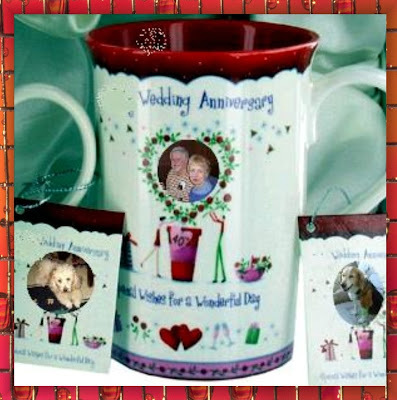 Mr. and Mrs. Jim as they are now are cloned into this pretty bone China cup. The two doggies are Adi, Mr. Jim's granddaughter and Katrin, Mr. and Mrs. Jim's adopted daughter. 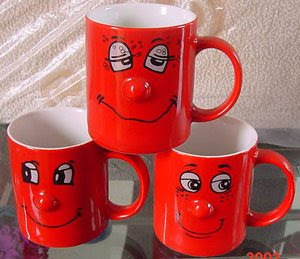 Now what I was thinking here Mr. Jim ,when I spotted these china red mugs and there are three of them, that perhaps you can send that Adi and Katrin with your airplane to fly over and pick up our Teach for the celebration, eh? 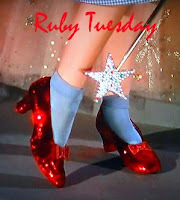 I have broken all the rules for this Ruby Tuesday...None of these pictures are mine Mr. Jim! Don't you dare tell a soul, eh? Here is a anniversary song Mr. Jim and it will serve two purposes. One because Bernie and I and Shopper want to wish you and your sweetheart a Happy Anniversary and two, because, I think you should use this song as a guide and learn to sing in tune!! God bless you and Mrs Jim........Love Bernie, Terry and the Shop. and a wonderful celebration to the happy Texan couple. 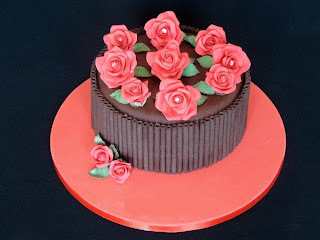 Happy anniversary Mr and mrs Jim. Terry you created a lovely post. Happy Anniversary to the Terrys'. Great Ruby Tuesday posting. Terry, you are soooooo good! Thank you, thank you, thank you! 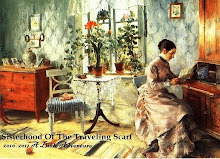 I really do appreciate this just soooooo much, it is such a nice thing for you to do. 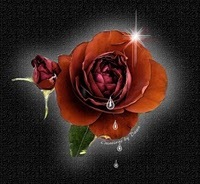 Thank you, Felisol and Amrita as well. You all are just too nice. And Terry, I feel like a heel, I went back to your 'teenager in love, got married' post and I didn't see a comment that I should have left there. I don't know what happened, I was there and thought I left one. I looked at the next newer page and I didn't mention your anniversary in that comment. Greetings from cold, cold Finland ! One More Birthday Girl..Mrs. Mac!